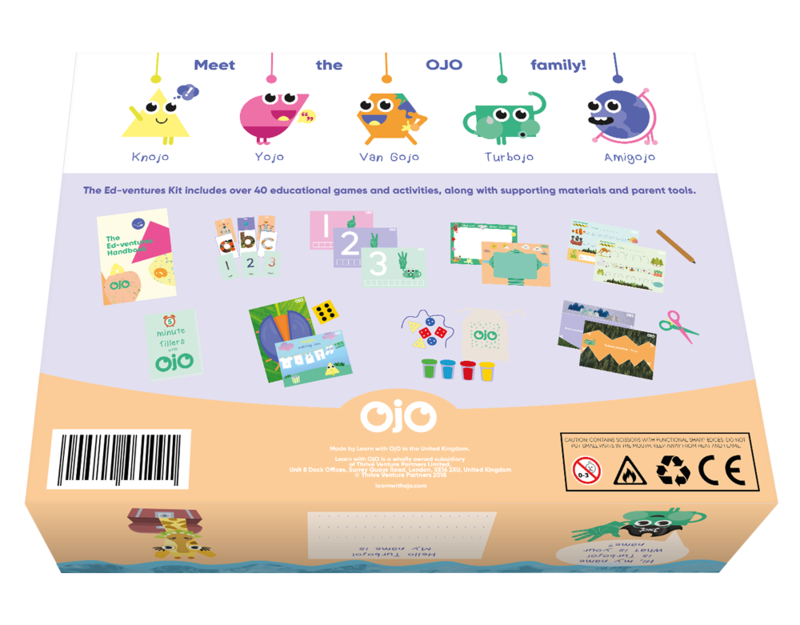 OjO is a great shop that helps parents with their little ones’ learning! The label offers different kits for your children to enjoy at home. And you can join in the fun too! Because let me tell you something, there is no better way than learning while being entertained! Whatever your little one is into, OjO will have it for you! Each kit contains all the materials and tools your child will need to complete the activities and you can even watch how-to videos to get started! Indeed, some animated educational content is available through the website for you to make the most of their kits! The complete set will keep them busy for hours! Each box will encourage children to work out problems so that they can build up in confidence. 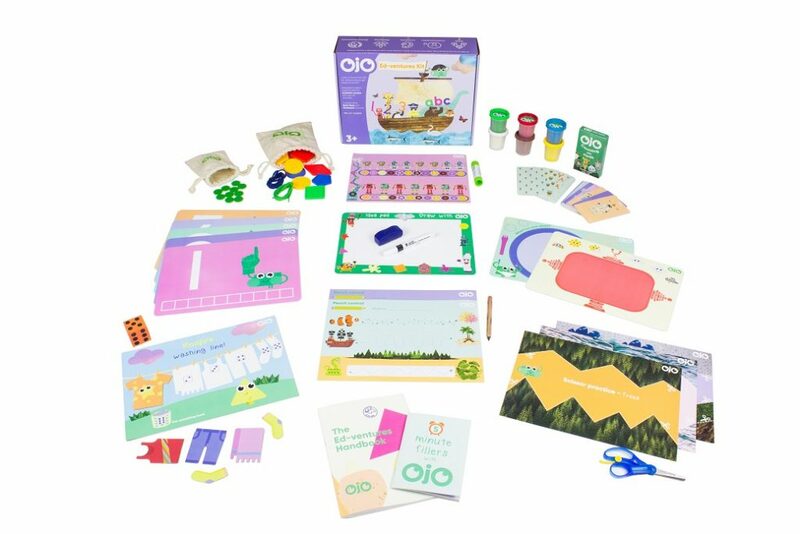 OjO toys include a variety of learning styles while making learning fun and enjoyable! STEM toys prove to be very beneficial for children to develop many skills so jump in with us! If you are a busy parent but you want to prepare your little one for school, this has been made for you! With over 40 activities, no need to buy other toys! Everything you need to complete each activity is included inside the box so no need to go to the craft shop and look for each element. En plus, it also contains some helpful tips and clear instructions for you to make the most of it. And because it is all in a box, you can take it everywhere with you! I love a good toy like that! On holiday, at the restaurant, while visiting some friends… Take it anywhere with you and keep them busy! Be reassured if your kids are quickly bored. Each activity is no more than 15 minutes. It means you can also fit play time around a busy schedule! More importantly, your child will learn essential skills such as number and letter recognition, pencil control, scissor practice, pattern making, threading and so much more! With the Ojo family, easy to choose what you want to do each day! 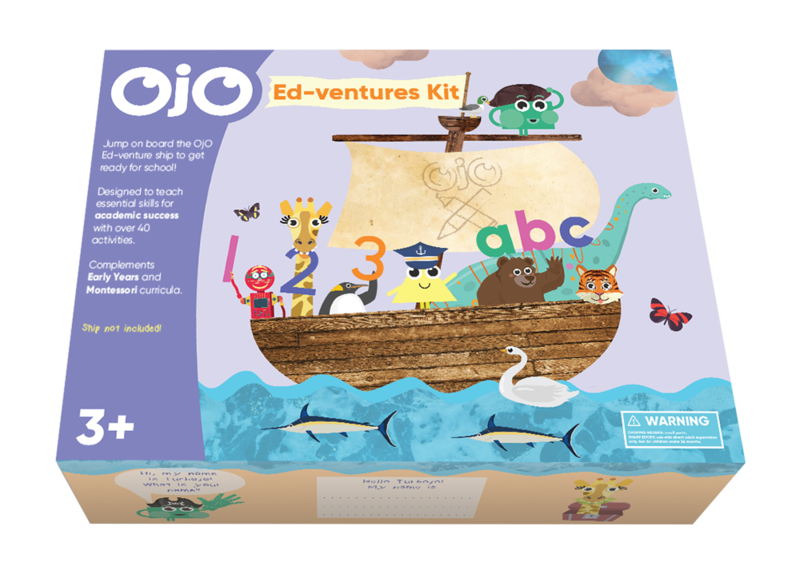 Win A OjO Ed-ventures Kit Worth £49.99. Enter this Back to School Giveaway via Gleam! This giveaway starts on Thursday the 6th of September and ends at midnight on the 6th of October. Merci for reading our post Win A OjO Ed-ventures Kit Worth £49.99. Playing while learning is so fun! Tomorrow, you will be in to win a £60 Voucher to Spend with Step2wo! Disclosure: This is a sponsored post written in collaboration with OjO. Christmas crafts with lots of glitter! We make Christmas cards for family! Making bunting to take to birthday parties. At the moment it is sticking all the toys she wants from the argod catalogue on a letter for santa. She wants loads lol. she has a list of what she needs, wants and doesnt mind if she gets or not!!! We like gluing and sticking! We love making greeting cards. We like leaf painting and making models from boxes, ribbon and buttons. we love collecting shells and sea glass to make things with. we make little people and animals from shells. its fun to go to the beach and collect the shells and sea glass. I love potato print paintings. We love making cards – especially with lots of glitter! Anything with glitter or printing on t shirts. We love making creations out of recycling! Using stickers and also using glitter. Junk modelling and also playdoh/plasticine. We love doing dinosaur collages! We love playing with Playdoh and have such fun with it. finger painting because we can be really messy! I love painting with my children. Woodland walks naming the things that we see and then making collages and models with Leaves, cones acorns etc. Different every time. Drawing and painting. I’m an artist so that keeps me happy too ? Junk modelling, we recently made instruments for a 5 piece band including a mic. We love collecting things on walks and making collages with them. I love a bit of book folding. It looks beautiful. Anything with glitter and paint. Card making, They love to make their own Christmas cards and greeting cards ? People love to receive them as they try so hard to make them special. Making cards for family and friends.